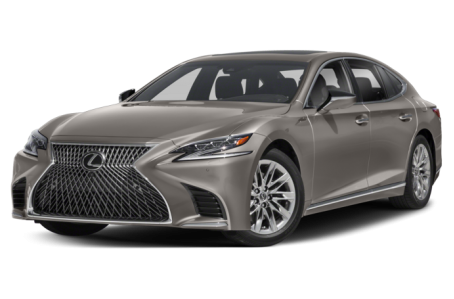 The 2019 Lexus LS 500 is the flagship luxury sedan of the lineup. The front-end features a large spindle-grille and Z-shaped headlights. It is powered by a 416-hp, 3.5-liter V-6 engine mated to a ten-speed automatic transmission. Rear-wheel drive comes standard, while all-wheel drive is available. Lexus claims it goes from 0 to 60 in 4.6 seconds.